Swimming with fellow bloggers through Riviera Maya’s Rio Secreto. Last fall I explored the adventurous side of Mexico’s Riviera Maya region with several other bloggers. While there, we toured a spectacular cave system called Rio Secreto. To read about this cave and some of our other adventures, check out my posts, Don’t just lie there… Six adventure activities in Riviera Maya and Feeding my adrenaline addiction in Riviera Maya. 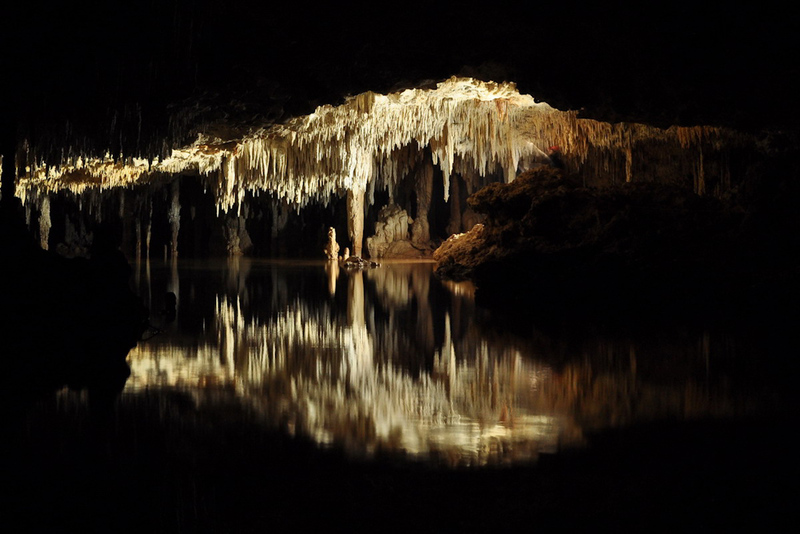 Rio Secreto Nature Reserve is part of an extensive subterranean river system flowing under the Yucatan Peninsula. Unlike many of the caves in the area, it is only partially submerged making it possible to explore it without dive training and equipment. The cave includes over 7.5 miles of mapped passage and 15 outlets. Almost no one stepped foot in the cave before 2007, since then it has been named a nature reserve and opened to the public. All photos provided courtesy of Rio Secreto Nature Preserve. My visit to Riviera Maya was sponsored by the Riviera Maya Tourism Board. I paid my own personal expenses, and as always, my opinions are my own. Nice photos! Looks like a beautiful and fascinating place to visit! Lisa, it was amazing! I’m such a cave snob, but this cave really impressed me. If you’re ever in Riviera Maya, make a point of visiting.